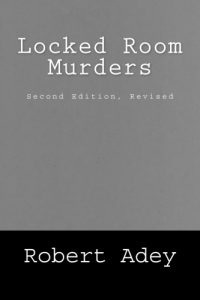 Locked Room Murders is a bibliography containing a description of the problem and, separately, the solution to locked room and impossible crime novels and short stories. It has been a classic in the locked room pantheon for over 40 years, beginning with a 1972 article by Bob Adey in The Armchair Detective. The first edition of Locked Room Murders, published by Ferret Fantasy in 1979, covered 1280 items. 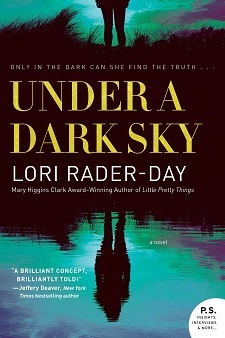 The 1991 second edition, published by Crossover Press, covered 2019 items. Due to limited print runs, both editions have become prohibitively expensive. Locked Room International (LRI) is now making a revised version of the Second Edition available at an affordable price. Edited by Brian Skupin, LRI consultant and co-publisher of Mystery Scene magazine, this revised version contains the same 2019 items, but with corrections and additional references which have appeared since 1991. Get the revised edition here. Plans are in place to publish a Supplemental Edition in 2019, to include novels and short stories (including translations from sources outside the Anglosphere) published since 1991, films, TV series, graphic novels, and other media. It will not contain any of the items in the Second Edition, Revised. Many people who don’t live in Florida tend to think of the Sunshine State as a wild frontier, a place where the weirdest, oddest, and downright stupidest events happen. Hey, I live here and I know that is part of Florida’s reality. 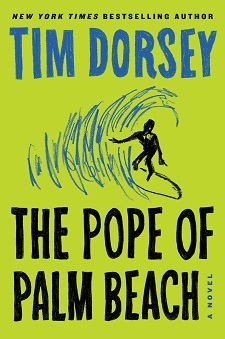 Tim Dorsey’s goofy novels also enhance Florida’s reputation. Dorsey’s antihero Serge A. Storms is a serial killer who only preys on jerks, criminals, and those who disrespect Florida and its history. The Pope of Palm Beach is Serge’s 21st appearance. These comic mysteries, which I have compared to the Three Stooges, have a huge fan base that goes well beyond the state. 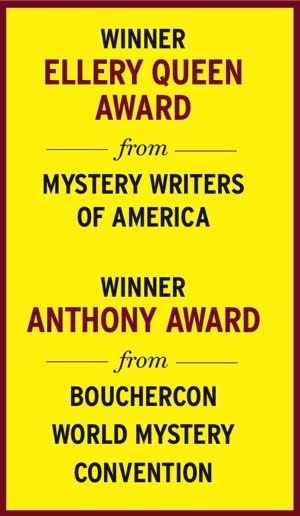 Dorsey will no doubt talk about why his novels have a far reach as the local guest of honor during Bouchercon 2018, to be held September 6 to 9 in St. Petersburg, Florida. He also hints at all things Florida in his introductory essay to the Bouchercon short story collection Florida Happens, an anthology with proceeds going to a literacy charity. For a close-up view of Florida, Dorsey’s annual “Stomp in the Swamp” is scheduled from noon until dark on October 27. This is Dorsey’s eighth year of taking readers into the Everglades and, as far as I know, Serge would approve as it is a tribute to Florida. The October stomp is the rescheduled event that was rained out earlier this year. The rescheduled jamboree also will be at a new location that is another tribute to Florida—the historic old railroad station at the end of the “tracks” in Everglades City at 102 Collier Avenue. The building has been preserved and is now the Taste of the Everglades (formerly the Seafood Depot). The site features plenty of indoor and outdoor seating. A giant outdoor deck and tiki bar overlooks the water and mangroves in the Ten Thousand Islands region. The Stomp in the Swamp is scheduled to take place rain or shine. Just don’t do anything that will bring the wrath of Serge. "Blood is certainly stickier than water."